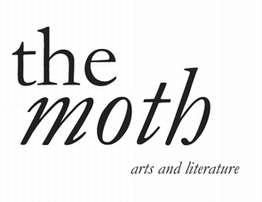 Founded in June 2010, The Moth is a quarterly printed arts & literature magazine featuring poetry, short fiction and art by established and up-and-coming writers and artists. Each issue also features two interviews � with the likes of Sally Rooney, John Banville, Paul Muldoon, Dan Rhodes, Kamila Shamsie, DBC Pierre, Helen Oyeyemi, Colm Toibin, Lionel Shriver, Tom McCarthy and Eimear McBride. You can find a list of interviewees here. We are very proud to publish the work of new and up-and-coming writers alongside that of more established names. In the early days of The Moth we published the likes of Annie Freud, Sjon, Dermot Healy, Suzanne Joinson, Vona Groarke, Robert McLiam Wilson, Colette Bryce, Andrew Jamison, Jacob Polley, Alan McMonagle, Billy Ramsell, Paul Durcan, Tishani Doshi, Ciar�n O�Rourke, Leanne O�Sullivan, Niamh Boyce, Joshua Cohen, Selima Hill, Jack Underwood, Dan O�Brien, Patrick O�Flaherty, Rob Doyle, Thomas Morris, Lee Rourke, Nicholas Hogg, Josephine Dickinson and John Montague. In more recent years there has been work by Sara Baume, Mike McCormack, Les Murray, Billy Collins, Sinead Morrissey, Thomas Maloney, Maitreyabandhu, John Boyne, June Caldwell, Pascale Petit, Nuala Ni Conch�ir, Matthew Sweeney, Yusef Komunyakaa, Hilary Fannin, John McAuliffe, Richard W. Halperin, David Romanda and Stephen May. The art in The Moth deserves as much attention as the writing. Artists whose works has featured include Michael Carson, Wen Wu, Elizabeth Peyton, Hope Gangloff, Edgar Mendoza, Mary Sauer, Bradley Wood, Tran Nguyen, Robert C. Jackson, Lu Cong, Cesar Santos, David Piddock, Isobel Brigham, J. P. Donleavy, Mamma Andersson, David Paul Costello, Kenne Gregoire, Jasper Joffe, Gabhann Dunne, Billy Childish, Victor Man and Chantal Joffe. The Moth appears in March, June, September and December. Annual subscriptions (�28 Ireland &UK/�32 ROW) and individual copies (�7) can be ordered here (postage included). If you would like to submit work to The Moth click here. Click here if you would like to receive The Moth Newsletter. Rebecca is co-founder and director of The Moth. She edits and designs The Moth and The Caterpillar. Her debut poetry collection We'll Sing Blackbird was shortlisted for the Strong Shine Award and she is a recipient of a Geoffrey Dearmer Prize from Poetry Review. Her debut novel He Is Mine and I Have No Other was published by Canongate in 2018. Will is co-founder and director of The Moth. He conducts the interviews and takes photographs of the interviewees for The Moth. He studied portraiture at Heatherley School of Fine Art in London and paints in The Moth Studio. Formerly the Ballymaloe International Poetry Prize, it remains one of the most lucrative prizes in the world, with �10,000 for a single unpublished poem, and three runner-up prizes of �1,000. The closing date is 31 December annually. Details here. The winner of last year's Moth Short Story Prize, judged by Kevin Barry, wass Caoilinn Hughes. Read more about it here. This year's judge is Kit de Waal. The closing date is 30 June annually. Details here. The Moth Art Prize awards �1,000 plus a two-week residency at The Moth Retreat in rural Ireland to the winner of this prize for figurative or representational work. The winner of last year�s prize was Gregory Mortenson. The closing date is 30 August annually. The Caterpillar is the younger sibling of The Moth and is for children between the ages of 7 and 11(ish), though grown-ups like it too. It includes work by the likes of Michael Morpurgo, John Hegley, Hilda Offen, Janet Wong, Chrissie Gittins, Ian Whybrow, Brian Moses, Carole Bromley, Lousie Greig and Dennis Lee. 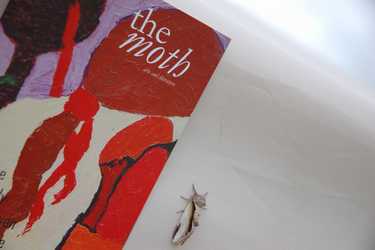 It appears at the same time as The Moth and ‒ like The Moth ‒ is jam-packed full of poems, stories and artwork. The Caterpillar Poetry Prize is a prize of �1,000 for a single poem written by an adult for children (aged 7�11). The 2018 winner, chosen by Chrissie Gittins, was Coral Rumble�s �Mustafa�s Jumper�. The closing date is 31 March annually. The Caterpillar Story Prize is a prize of �1,000 for a single story written by an adult for children (aged 7�11). The winning story appears in the winter issue of The Caterpillar. The closing date is 30 September annually. Our studios at the rear of Church Street in Cavan are open on Mondays and Fridays for anyone who cares to drop in and do a bit of painting in convivial surroundings (�5 half day/�10 full day). There is also a drop-in portraiture group with Will Govan on Tuesdays from 8−10pm (�5). Don't hesitate to get in touch if you have any queries. Call 087 2657426 or email enquiries@themothmagazine.com.